Las Vegas shooting: Are machine guns and fully automatic rifles legal? Are Machine Guns Legal? Yes and (Mostly) No. 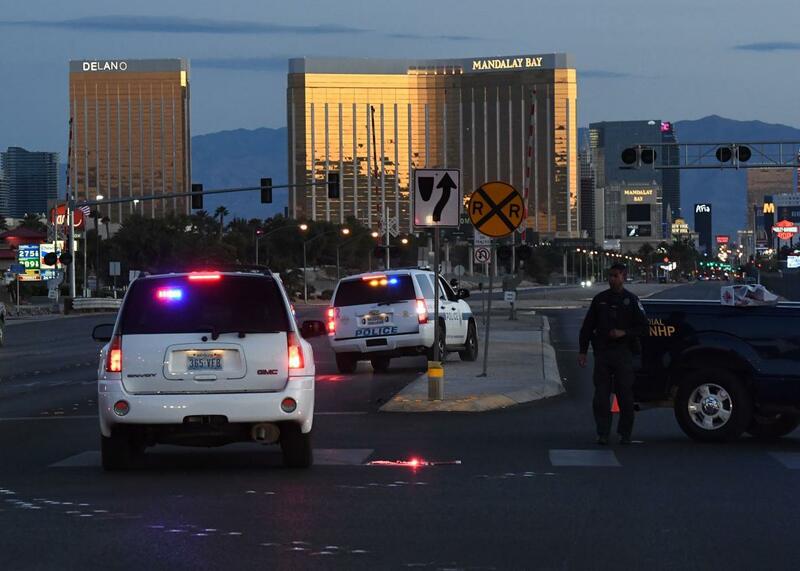 Police form a perimeter Monday around the road leading to the Mandalay Hotel after a gunman killed over 50 people and wounded more than 400 others in Las Vegas on Sunday night. Multiple news outlets have reported that the weapon used by Stephen Paddock in the Mandalay Bay shooting may have been a fully automatic weapon, or “machine gun.” The staggering number of casualties—58 dead and more than 500 sent to local hospitals at last count—and the rapid and continuous shots heard in footage posted to social media certainly seem to suggest this. If Paddock did, in fact, use a fully automatic weapon, Mandalay Bay will go down as one of the most unusual mass shootings in American history. New, fully automatic weapons—weapons that reload automatically and fire continuously with one trigger pull—have been banned for civilians in the United States since the Firearm Owners’ Protection Act of 1986. Their use in crimes is incredibly rare, rarer even than the use of semi-automatic assault rifles like the AR-15 rifles used in the Sandy Hook and Aurora shootings or the Sig Sauer SIG MCX used in the Orlando shooting. Of the 91 American mass shootings catalogued by Mother Jones that have occurred since 1982, not one has seen the use of a fully automatic machine gun. It’s semi-automatic rifles—guns that reload automatically but fire only once per trigger pull—that have seen wide use in recent mass shootings and that probably constitute the majority of rifles used in homicides and other crimes. Still, rifles of all kinds constitute a small minority of criminally used guns: Only 2 percent of homicides were committed with rifles of any kind in 2014. Gun owners who want weapons capable of fully automatic fire can’t legally modify the internal components of their semi-automatic rifles to accomplish this. But they can buy legal accessories like the Slide Fire or the GatCrank that help shooters mimic automatic fire without altering a semi-automatic gun’s internal mechanisms.